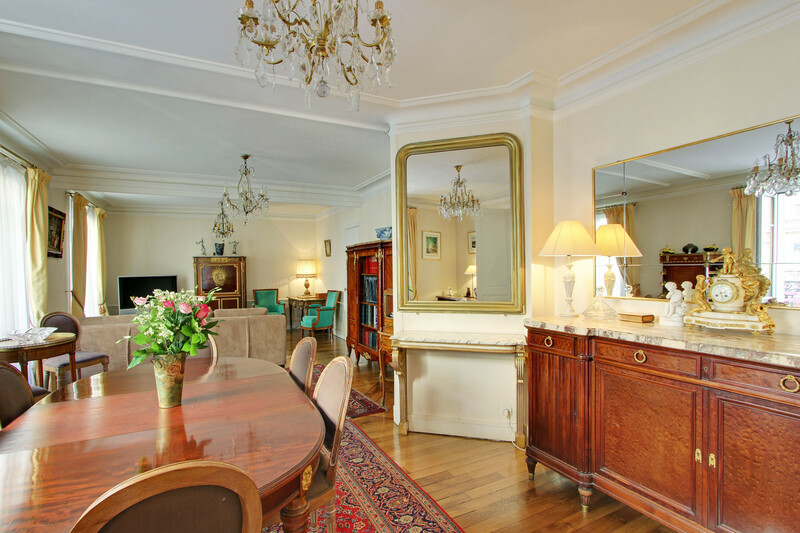 The grand lepic apartment which suits 8 adults and up to 10 people if including children is situated in a classical hausmannian residence which dates back to 1892. The building was once the residence of the dancers and performers of the world famous moulin rouge-which is located just down the street at place blanche. This grand duplex on 2 floors, measures a stunning 160m2 (1722 ft). It has 4 bedrooms, 3 spacious full bath & shower rooms and one separate wc. 4 separate apartments were combined and redesigned with the idea of creating a large, bright & beautiful duplex. A large balcony runs the length of the apartment means you can soak up the ambiance of montmartre-one of the most original neighbourhoods of paris. 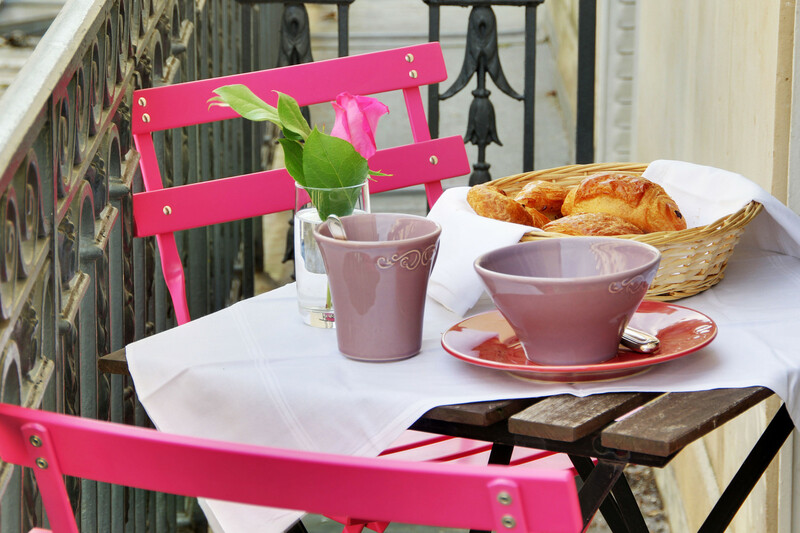 Enjoy your morning coffee and croissant from one of the many fabulous local boulangeries as you watch the passersby shopping at the various market vendors on the street or watch the sunset as you enjoy your glass of wine. 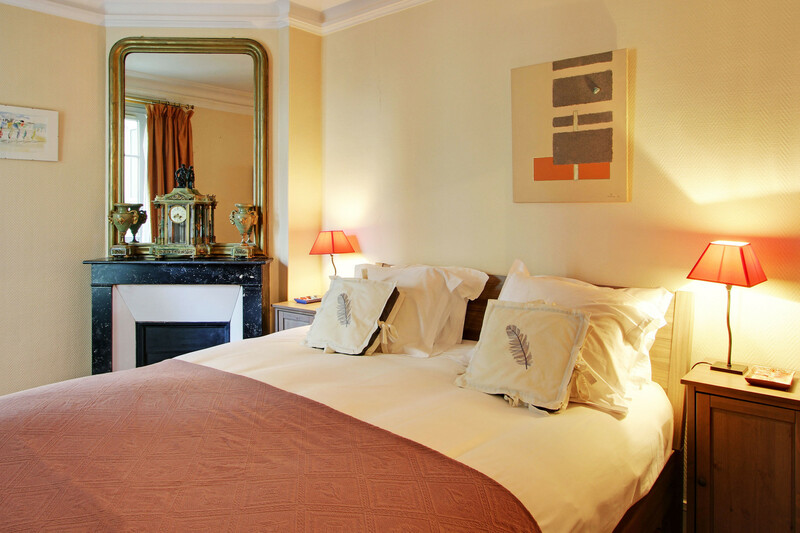 The apartment combines both modern comfort and a classic french style. On the first floor there are two bedrooms-the master bedroom and a child's room. The master bedroom contains a queen-size bed, a large screen tv and a spacious walk-in closet. We have an extra single fold out bed in this bedroom. The second bedroom on 1st floor is a charming child's room with a custom-built fortified castle-like bed fit for any little prince or princess. The bedroom also has a folding bed that transforms into an additional single bed for another child or even an adult. Up one level there are 2 additional bedrooms-one with a queen-size futon bed and the other bedroom with a double-size brass bed that would be appealing to any weary traveler. This adjustable bed is perfect for two people with different sleeping habits since you can lift the mattress up at the head or foot of the bed while your partner'a side remains flat if they so desire. Both bedrooms also have their own tvs. Three of the four bedrooms are courtyard facing. 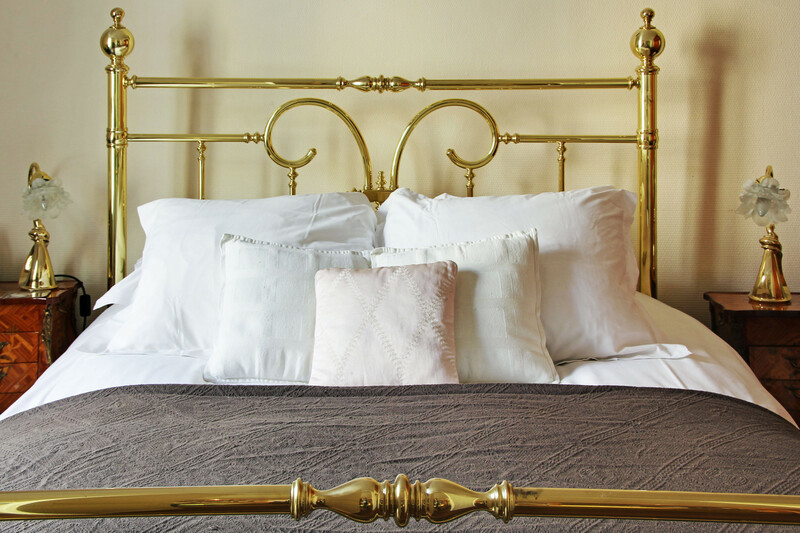 Only the bedroom containing the brass bed faces the street, but you won't have to worry about street noise since there are noise-blocking double-glazed windows throughout the entire apartment. In total the apartment sleeps up to 10 people (maximum of 7-8 adults). The luxurious residence has two full bathroom/shower-rooms and one shower room with a separate wc. On the main floor, one of the shower rooms offers both a normal shower or a true spa experience with the whirlpool shower located next to the master bedroom . A separate wc is located just next door to this shower room. On the other side of the apartment on the same floor, you have a newly renovated full bathroom with a whirlpool tub and shower- ideal after a long day of sight-seing. 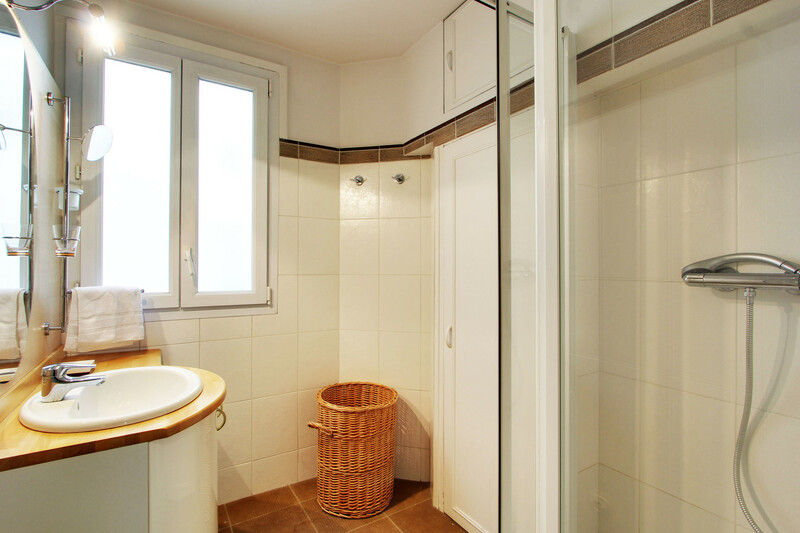 On the second floor you will find the last shower room, which is both spacious & modern. The large foodie-friendly kitchen, located on the main floor off the entry hall, is fully equipped and spacious enough to enjoy a quick breakfast. The main living area combines three living spaces-the dining room, a parlor & the main living room. The dining room table can seat 8-10 people and serves as a perfect display for any festive feast or casual dinner. The apartment comes equipped with crystal glassware and porcelain plates from a renowned porcelain maker. And of course, casual dining ware is also provided. 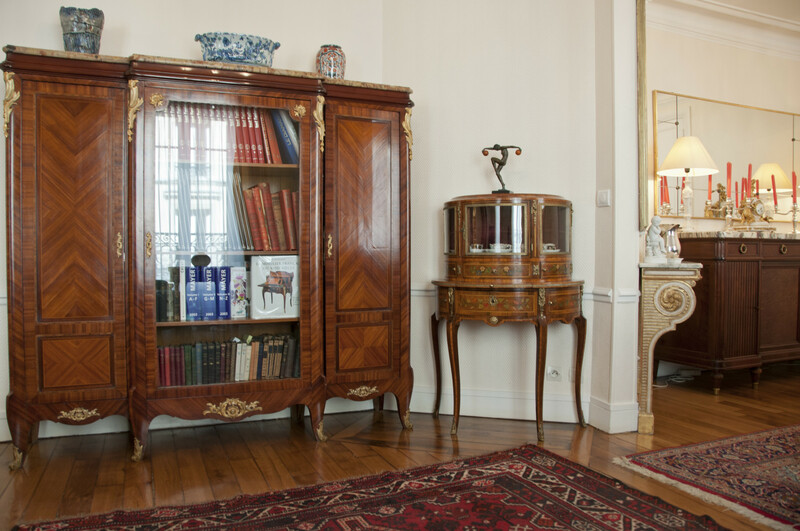 Enjoy reading in the elegant parlor over a cup of tea or coffee. Plenty of seating space is available in the living room where you can watch cable tv (which provides a substantial list of multi-language channels), on a large screen or play on the nintendo wii-w have provided a few games. 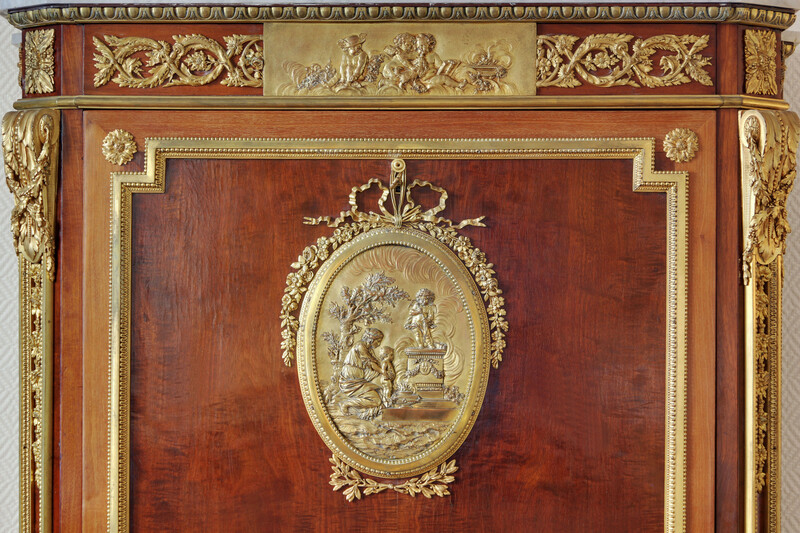 Supporters of the chateau de versailles and lovers of the furnishings of the 18th and 19th century, the owner of the apartment chose several pieces of furniture that stand out in this space as a testament to his admiration-including a louis xvi secretaire, a copy of furniture from the wallace collection in london and a louis xv dresser with ravishing ornate marquetry. With all these classic touches the apartment remains inviting, calm, and discreet. Bright colors, beautiful artwork and original pieces of furniture both modern and classical, come together harmoniously. 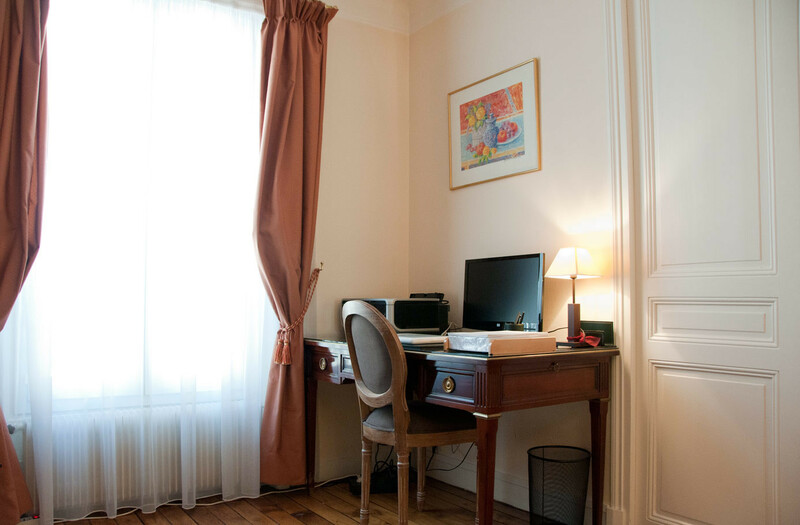 The library on the upper level can serve as an office should you need to work during your stay in paris or can also serve as a second living room with small sofa and a fold out single bed + cable tv along with a printer. The laundry room is located next to the kitchen on the first floor and contains a washer and separate dryer. 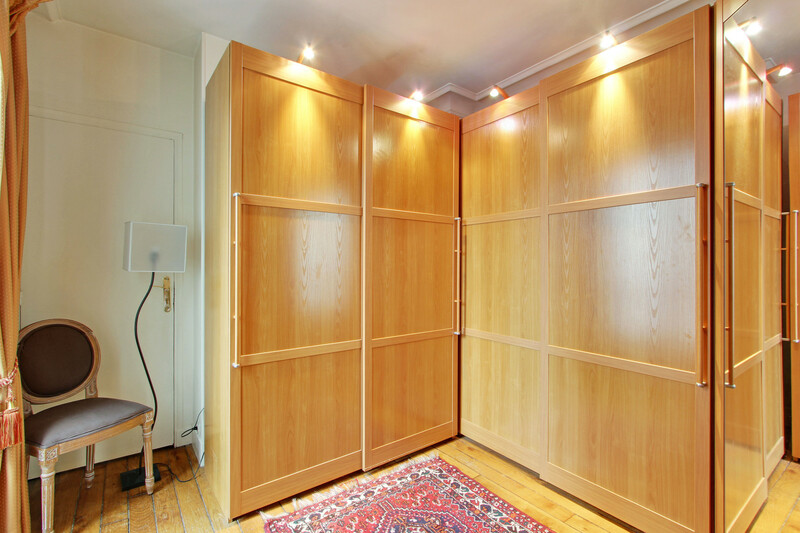 This room also has a large wall-mounted drying rack if you like to air dry any of your clothes. 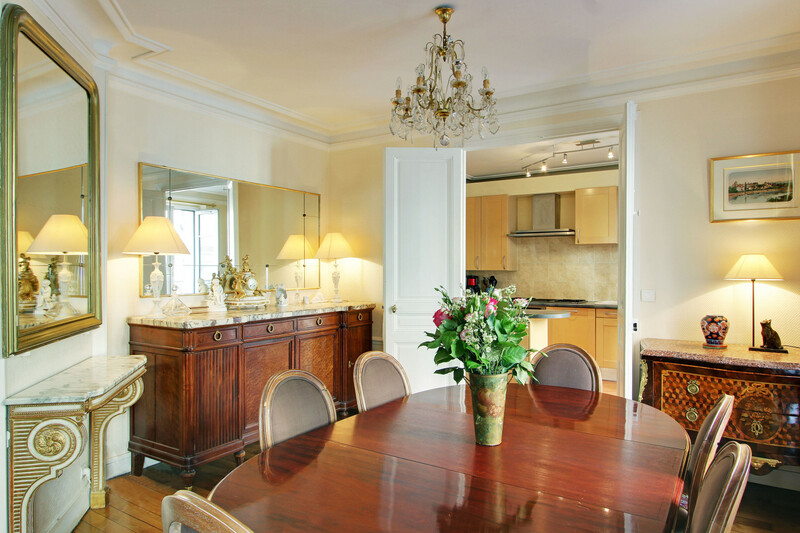 Grand lepic is a luxurious abode, the grandeur of which is rare in montmartre. 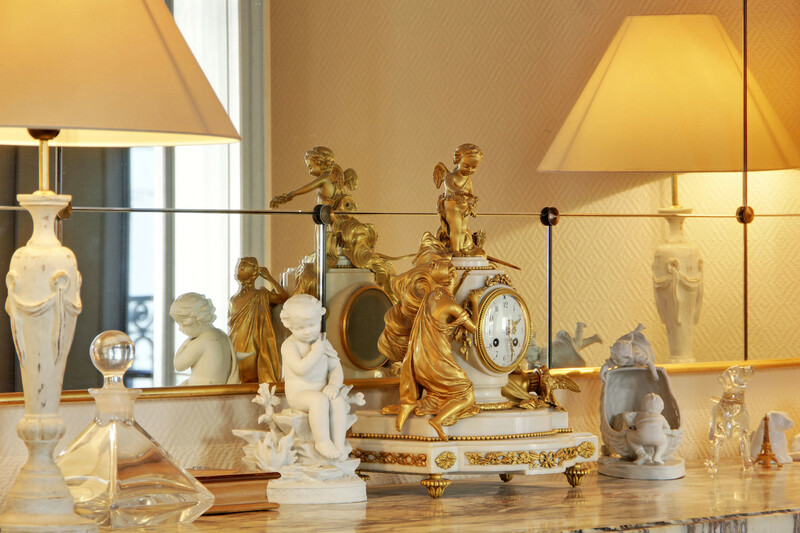 A haven of classicism and good taste. 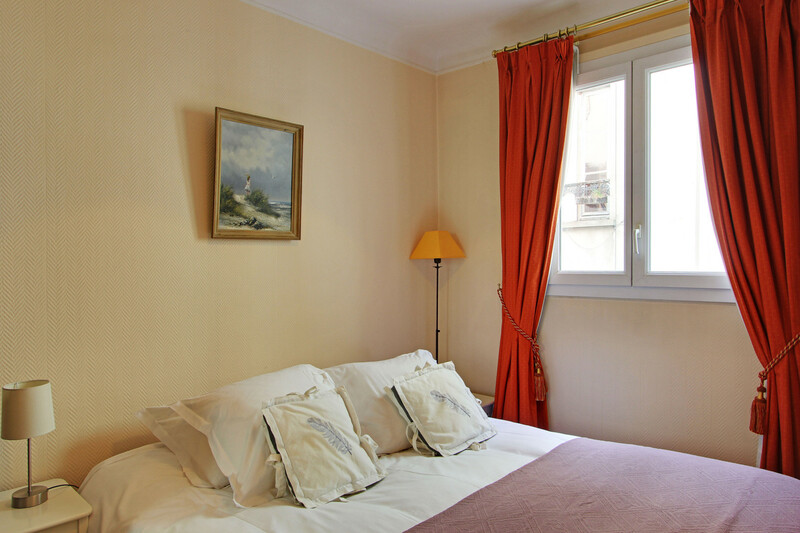 The apartment is located in the heart of the a market streetjust up the street from the famous Moulin Rouge. 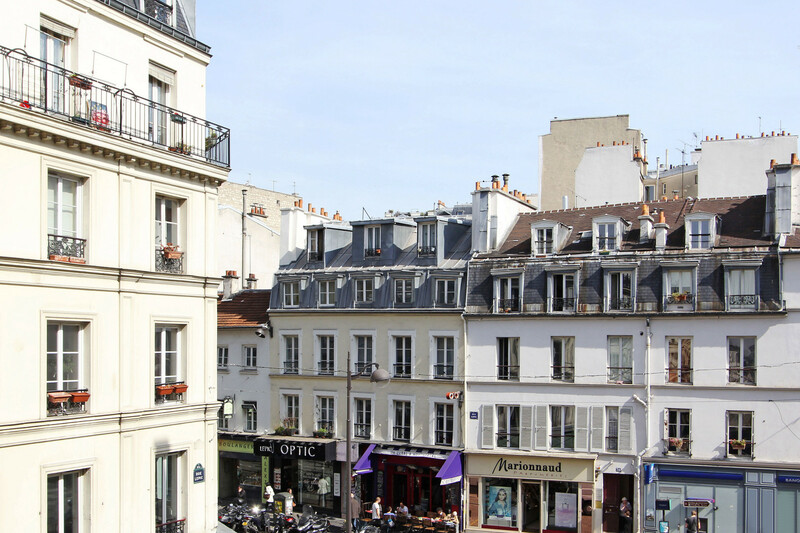 With a balcony overlooking the street you can observe daily parisian life pass by. 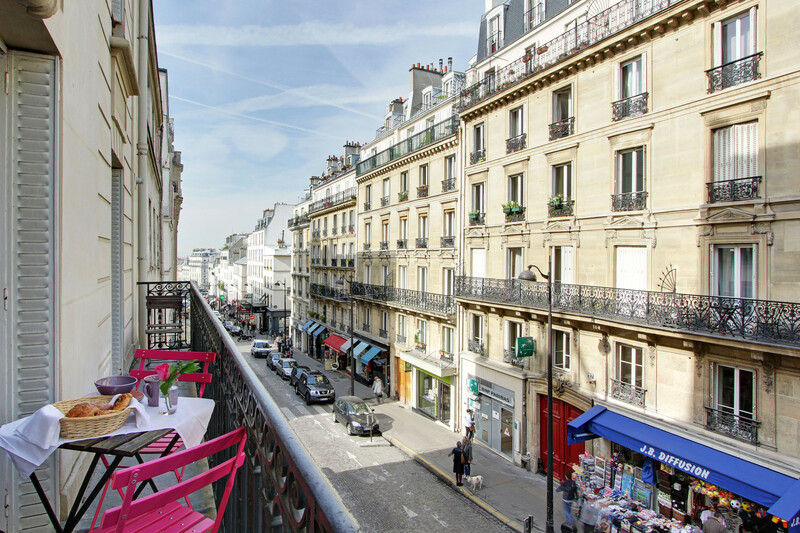 Located in the southern part of the 18th district you remain quite close to the pulse of the city and can even walk through the 9th district to the south to get to the opera, gallery lafayette and printemps. With great transportation by bus (lines 30, 54, 67, 80 & 95 are all within walking distance) or metro (lines 2 or 12), you are less than 20 minutes from most destinations. You are between two metro stations here, Abbesses and Blanche (lines 12 and 2 respectively), and have various bus lines available to wiz you around paris in a short time. You can also make use of metro Place de Clichy where you can not only use the metro but also use the buses 80 to get you to the Champs Elysee and the Eiffel tower or the 95 for Saint Germain, and the Louvre and of course just up the street is the Sacre Coeur. 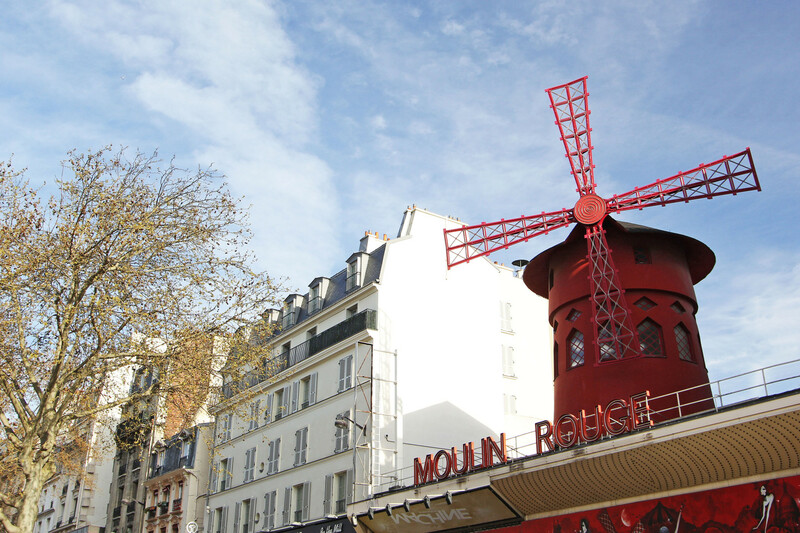 One of parisians most beloved districts and host to many tv and cinema productions, montmartre is a delightful location from which to embark on your paris adventure. Commerce abounds as well as great food options-be it from restaurants, snack stands, creperies, bars, cafes, designer dress shops and more. My family and I had an incredibly enjoyable time over the Christmas Holiday at Grand Lepic. Thanks to Elodie, manager, and Georgina, our greeter, everything about the booking went off without a hitch. There were 6 adults in our party comprised of 3 generations. A daughter and her family living in Paris often visited us. There was plenty of room at the large table. 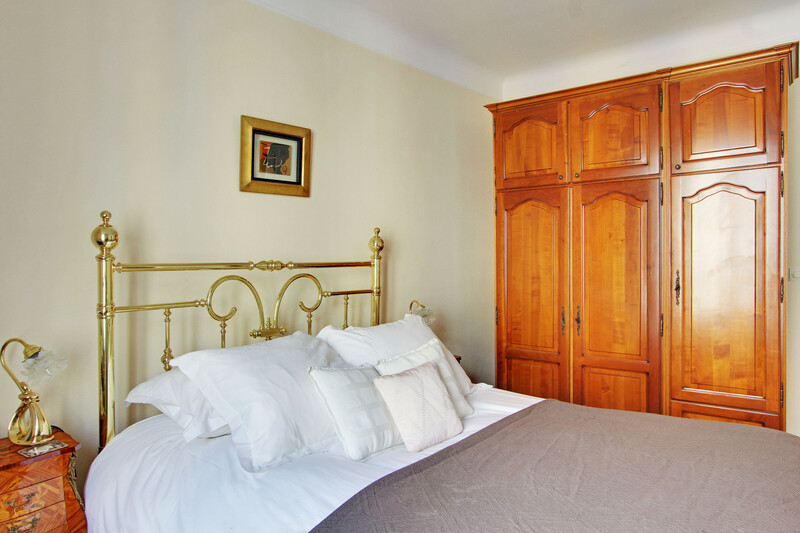 The spacious apartment is very well equipped, fulfilling all of our needs for a Holiday stay. The 18th arrondissement was a joy to experience. There were numerous green grocers, plentiful boulangeries, chocolate shops, delightful cafes, numerous restaurants, and an incredible fish market, all within steps of the front door. Sacré Coeur is perched high on the hill overlooking the village. We enjoyed walking the quaint streets to visit the basilica. There was a nearby vendor from whom we enjoyed a cup of warm red wine while enjoying the view. If you want unsolicited accolades from your family for choosing this marvelous place, book Grand Lepic. We stayed in the Lepic apartment for one week in October. The layout was perfect for two families, allowing us enough room to spread out. The apartment manager was super attentive, helping us out when we had issues with the wifi. Whenever our tour guides asked where we were staying, they all responded that we were in one of the best places in Paris to see what true neighborhood was like. There are multiple restaurants, bakeries, etc within an easy walking distance. One thing to note is there is no lift, so you will need to carry your luggage up a set of winding stairs. Also, the mattresses were VERY firm, (much more so than American style). Two metro stations are an easy (and safe) walk from the apartment as well. 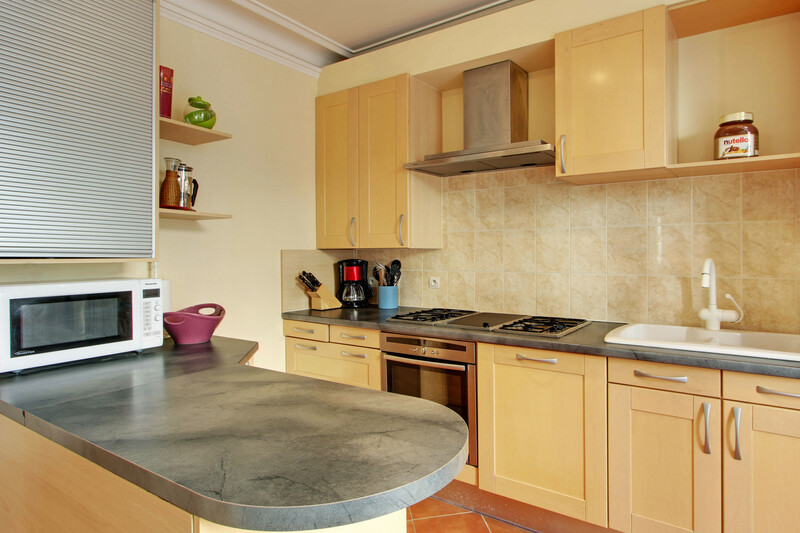 The apartment also has a large refrigerator (as large as a double door American refrigerator) and a full kitchen. Having a washer and dryer in the apartment was very helpful as well. Paris Rental Connections was easy to work with and I was never concerned or anxious about setting up our rental via email. The property agent was waiting for us when we arrived from the airport to show us all around the apartment. I would not hesitate to use Paris Rental Connections again! This is a very nice apartment with a great location. The metro station is just a few blocks away and restaurants/markets were just iutside our door. The neighborhood noise settles down at nite , except on weekends. We slept 9 adults here, all family. But, it was better suited to 6 adults, as the incremental beds weren’t as comfortable and the added rooms were quite small. But small rooms seem generally the trademark of Paris. The kitchen is great and the common rooms were nicely appointed. We had a good time here! Great location, perfect place to enjoy an authentic Paris experience! We can not say enough positives about our experience with this rental! 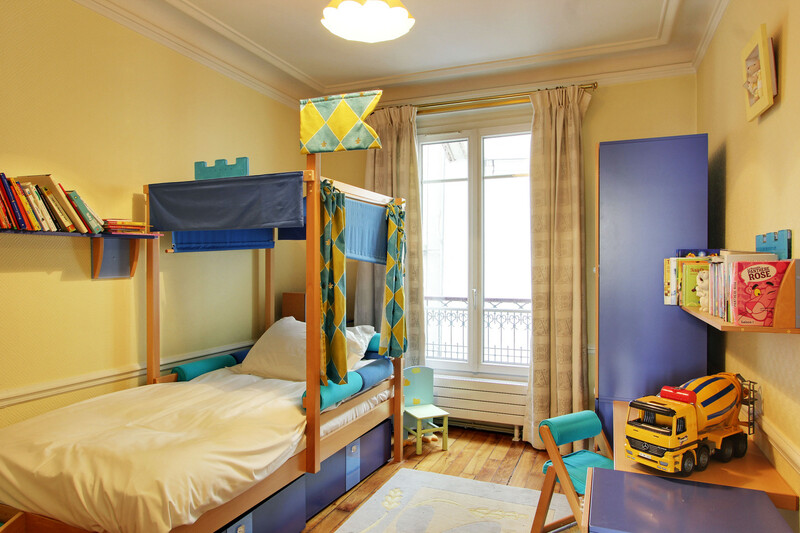 We were looking for a place that would give us an authentic Paris experience and would be roomy enough to sleep our family travel party of 10. This place delivered on both, on top of this, the hosts went out of their way to make our stay from check-in to check-out very easy and enjoyable. The welcoming guide that was sent before our departure helped us to prepare for our stay. We were met on arrival to 30 Rue Lepic and given all information about the place and our hosts answered all questions about the area. This is a very safe place to stay and easy walk to two different Metro stops. There are many cafes, bakeries, supermarkets, among other sites and restaurants right outside this location. Perfect place for anyone who is visiting Paris. We walked to Sacre Coeur, and used both Metro stops to easily navigate around Paris. Would recommend this place and the hosts to anyone! The organisation and communication by Michele in the lead up to our booking was first class. Very responsive to any queries. Flat very pretty and plenty of bathrooms for the family. Problem with Internet fixed promptly. 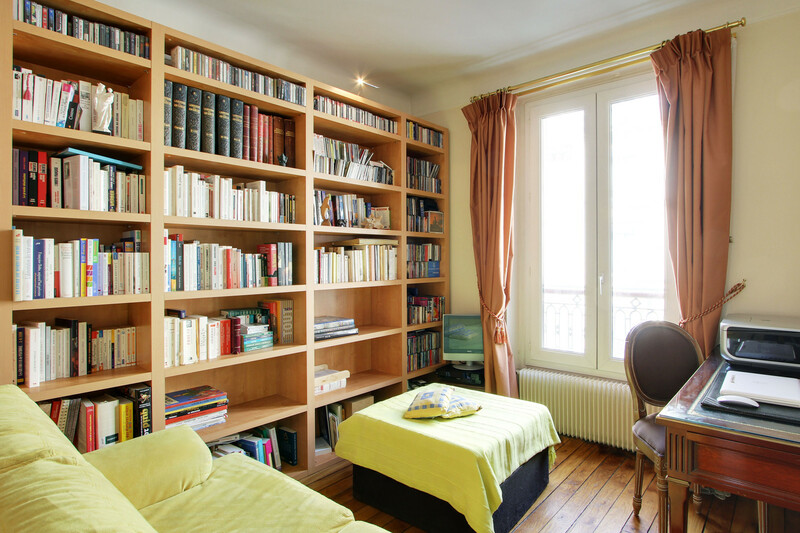 Location just one street off moulin rouge and close to metro and buses, restaurants, bakeries, fish monger and pharmacy. Good range of cutlery and dishes which meant easy to cook For the crowd rather than eating out. Would wholly recommend this place. Everything went very well. Enough room for the entire family. Everything was great and the accommodations were everything we needed. Great location. Would not hesitate to use Brno in the future. Location is great. Easy walkind distance to metro and bus. Lots of fun, affordable and delicious restaurants and cafes close by. Close to great shops, bakeries, fruit stands, etc. We walked to get groceries, take out pizza, gelato, fresh baked bread daily, etc. House is FILLED with awesome Paris guide books (even some for kids)... Everything (literall) everything you need is steps from the house or in the house. The house is comfortable. Everything works. There is LOTS of room to spread out and have space for more than one family. We were there for 8 days and nights with 4 adults and 4 kids and had a blast. Everything was clean on arrival. Someone met us to go through the house with us. The owners were avaiable for questions while we were in the house. Having the balcony on a busy street was a great treat. It was like having your own table at a bistro everyday. The neighborhood is filled with wonderful restaurants, bakeries &, food stores. Everyone could pick what they wanted to eat. Being so close to the metro made it easy to get around Paris. The apartment on Rue Lepic could not have been better situated as home base for our family holiday. The neighbourhood is wonderful and the apartment exceeded our expectations. Die Wohnung ist großzügig geschnitten, hervorragend eingerichtet und sehr sauber. Die Lage in der rue Lepic ist fantastisch, vor allem mit den tollen Einkaufsmöglichkeiten. Wer einen sehr leichten Schlaf hat, sollte nicht das Zimmer zur Straße nehmen, alle anderen sind für Altbauverhältnisse ruhig. Die Buchung und die Betreuung vor Ort war einfach, unkompliziert und sehr gut organisiert. 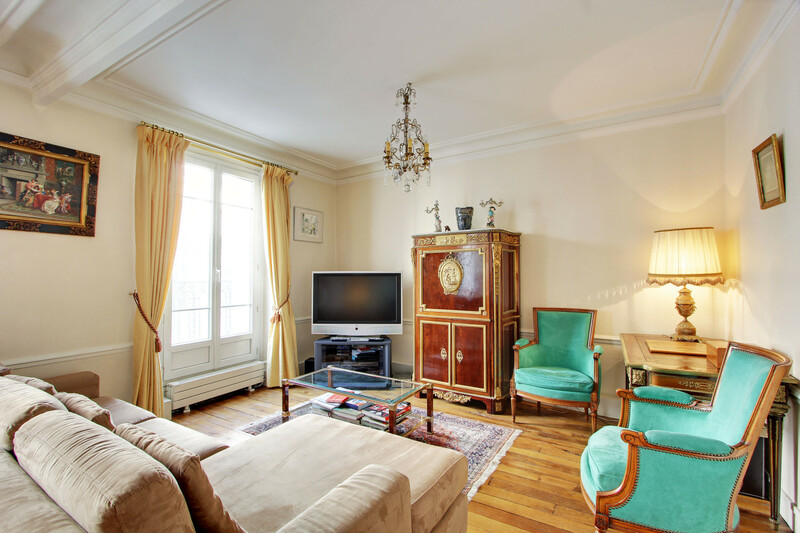 This lovely, well-appointed flat was perfectly located for our exploration of Paris. We were able to feel completely immersed in French culture during our 13-day stay. Sacre Coeur was a short walk, and was where we celebrated a memorable New Year's Eve with our family. Montmarte was a perfect fit for us. Each morning, we went down to the patisseries for baguettes, and croissants. We enjoyed coffee in the mornings, and French wine in the evenings, at one of the many quaint sidewalk cafes. The restaurants were exquisite, and the cuisine was everything we imagined. The shopping was superb. We all returned with French fashion treasures! The accommodations were very comfortable to come back to after long happy days adventuring all over the city/countryside. The only drawback was that we were traveling with 4 adult siblings, and the 'roll-out'/couch conversion and child's bed were cramped for adults over 6 feet tall. Also, there were many stairs to navigate, so, we recommend packing light! The owner and vrbo team were excellent to work with. We would highly recommend this flat. It would best accommodate 3 couples with 2 small children. We had an excellent stay at Grand Lepic. The location is superb. Easy access to public transit, restaurants, night life. The accommodations were clean, spacious and comfortable. Michele was a wonderful host. Merci! The apartment is perfect for the 8 of us. most of the other larger apartments had 2 bathroom/ toilets while this one had 3, which was a great help when it comes to getting 4 teenagers ready in the morning. it is also a great location with cafes, supermarkets, metro, shops, all within walking distance. I stayed here with my family y cousins and their little children and it was a great spot for everyone. It was placed perfectly. On a little alley that met up with a bigger road that was quite lively. There were great little hole in the wall restaurants near the apartment. Great stay highly recommended. Six of us (my wife and I, 2 older sons with one girlfriend and a sister in law) spent 10 days in Paris and used the Grand Lepic as our home base. Wonderful. 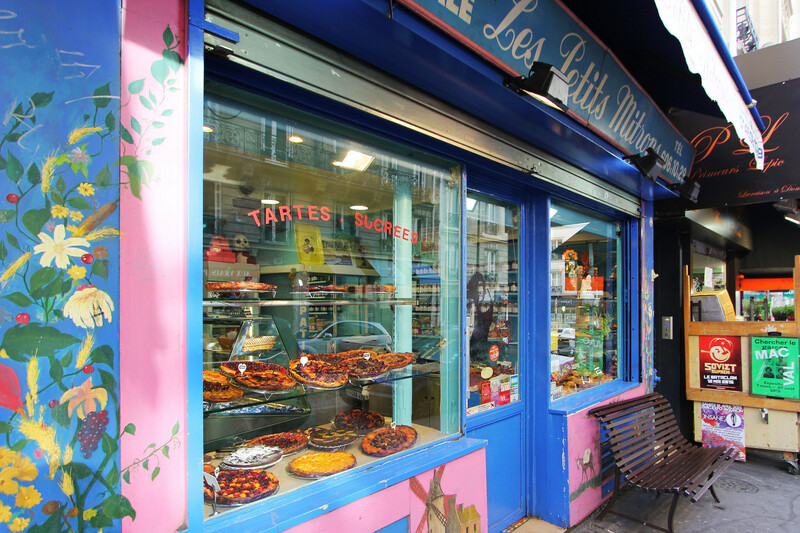 Located on active Rue Lepic, surrounded by bakeries, pastry shops, cafes, restaurants, shops and sights. In no time you can metro or walk to other areas of Paris or just wander the streets of Montmartre. Kitchen was well used and had all needed utensils etc. Fridge is large and perfect for one's needs. 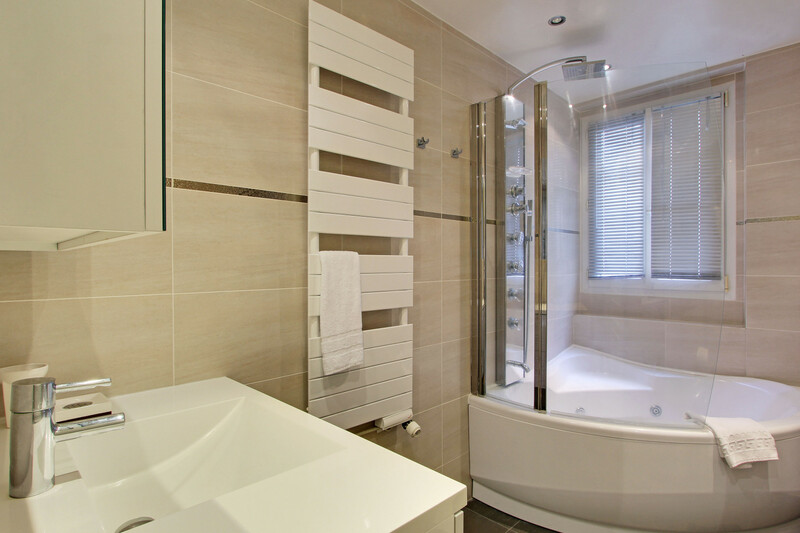 Bathrooms are modern, clean and have an ample amount of hot water. Possibly only draw back is that washer/dryer are slow and can take only smallish loads. This is a very minor complaint for who wants to do laundry on vacation? Booking was easy and all questions answered promptly. We were met at the apartment by the agent who covered all the details of the location. She was thorough and very nice. We used the chauffer service recommended and it was so nice to be picked up at the airport and then at the end of our stay to be returned to the airport. The price was fair and well spent. This was a perfect spot for a large group so we would have an area to gather and share stories and make plans over a meal or a glass of wine. Without question we would rent an apartment again. Excellent stay! albeit was a short trip ! Paris Rental Connections was very professional and organized. The planning and booking seemed so secure and step by step !Booking with the chauffeur services with Greg was easy and had someone waiting at the airport ! and the wonderful agent met us right in time at the apartment! she was great! The apartment was beautiful! immaculate and with all amenities ! spacious! everything worked, hot water and temperature control in the house -excellent.Seemed very secure despite being in the middle of the hustle and bustle ! Paris seemed so safe at any hour of the day !the French were so nice! the area Montmartre was the best ! charming is the word ! Croissants yummm! quiches yumm!. Rue Lepic has everything ! at your doorstep. several Metros in short walking distances.Paris Rental Connections thank you very much. Only complaint if any was no elevator ! was good for the gluteals though ! This was a great place for our family of 7 adults to stay during our visit to Paris in March 2014. From the initial contacts with the agent (Elodie) to our greeter at the apartment (Matts) everything went very smoothly. Elodie was great to work with. She was fast getting back to me via email and answered all my questions in a very timely manner. Matts, our apartment greeter, was very thorough in explaining all about the apartment and neighborhood. There is a 3-ring binder in the apartment that explains all of this as well. The apartment is safe, located in a friendly neighborhood, is extremely well-equipped and is everything it's advertised as. There is an outside door into the building that can be opened with a code and the apartment is on the 2nd floor with an extremely solid and well-locked door. We felt as though we were guests in someone's home during our stay because the apartment was so generously equipped with everything we needed from cooking, to a Mac laptop with printer, to free phone calls back to the us. The neighborhood was great with grocery stores, markets, and restaurants within a few yards of the door. The apartment is located above a drug store and only about 300 feet from a grocery store. The subway is about 2 blocks away. We would definitely stay here again if we return to Paris. We recently spent a week in Paris with our 4 year old daughter, my husband's parents and aunt and Uncle. We stayed at Grand Lepic and loved it. Everything we needed was there. Our daughter loved the child's bedroom, especially the toys, books and little desk and chair for colouring. We all had rooms to ourselves and a great big table to sit at for family meal, visiting and planning. The agent that met us (Shelly) was so friendly and helpful. She gave us a great tour of the place and suggestions for siteseeing, dining, shopping, etc. We also emailed and recieved quick, helpful responses from Elodie, as needed. They suggested a driver (Gregoire) and we had him pick us up at the airport on arrival (took all stress out of arrival!0. He was waiting for us as we walked out of the baggage area, took us straight to the apartment. He was also very friendly and informative. Any groceries or food we needed were within a block or two. Restaurants everywhere as well. Also very close to 2 metro lines. We loved our stay and have no complaints. Thank you so much for sharing your place with us! Group of seven women, visiting Paris to celebrate 50 year birthdays! The accommodations, location, and service/support were perfect. The apartment is spacious, well laid out, and well appointed. Montmarte offers a unique "bustle" and fantastic neighborhood feel ... and, with two metro stops just a few blocks away, it was easy to get to all parts of the city. Unanimous rave reviews for Grand Lepic. We're already planning a next time. Our family of seven including two nine year olds had a wonderful stay at Grand Lepic. The apartment is very much as illustrated in the photos. The location is great; great neighborhood and close to two Metro stations. Paris Rental Connectins were a pleasure to work with.The on site orientation was through. All in all a terrrific stay. 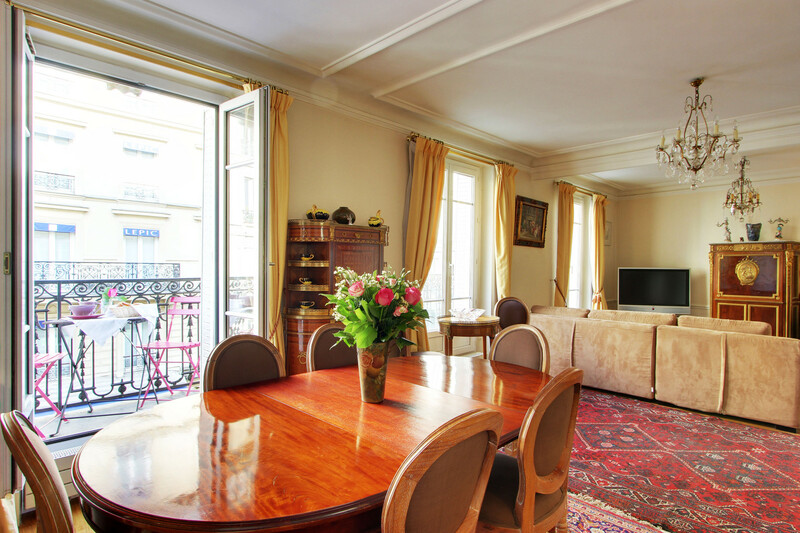 These was a great experience, it was our first time in Paris, and our stay in this apartment make easy our vacations. You have every thing near The apartment, restaurants, pharmacy, grocery store, The metro station, etc. Also yo can reach walking some sight seens like Moulan rouge, The Sacre Couer, and across The apartment a Restaurant were was filmed The movie Amelie. There is no better place. A great base of operations for a week in Paris. We had 7 Adults and 3 kids under 10 with plenty of room. We very much enjoyed all of the local shops and had a fun time picking out the morning's pastries or the evenings bread, wine and cheese. Easy access to two different Metro lines. Walking up to Sacre Coeur in the early morning before all of the (other) tourists get there was a nice treat. We just returned from our trip to Paris and France and this location fit a group of 10 without any problems. The metro is nearby, small grocery shops and cafes all around. We were welcomed with an explanation from our host as to how to utilize the appliances and info as to sights nearby. Glasses of wine were enjoyed on the balcony in the evening to people watch! Very well situated apartment. Lots of space for the whole family - 7 with a toddler. Very well equipped: kitchen, laundry, 3 bathrooms, large living area. This is a real find for Paris and I would highly recommend it. The agent met us and was very helpful and friendly. We didn't have any problems during our 4 day stay as everything worked fine. We only wish we had more time to discover the very lively area and the local fishmonger, traiteur, fromager etc... Loved it. Our family, which included 7 adults and a three-year old, spent one week in this apartment over the Christmas holidays. When we first arrived, we were met by an agent, Shelley. She gave us extremely thorough information about the apartment and neighborhood so we felt comfortable from the start. The apartment itself was absolutely perfect. There was adequate sleeping space, as well as 3 bathrooms with plenty of hot water. Our granddaughter loved the special canopy bed and toys in the child's room. The kitchen was well-stocked with both cookware and table ware and included a large refrigerator. The living space had a big table where we could eat and talk together. There also was a nice seating area with room for us all to gather. The neighborhood is full of shops and restaurants of all types within walking distance, so all needs were easily met. We thoroughly enjoyed just walking the area and getting what we wanted on a day-by-day basis. In addition, there are 2 metro stops very close by so we were easily able to access any part of Paris we wished to explore. We would highly recommend this apartment for any group. Eight of us, including a four year old boy, spent four days at grand lepic and are already looking forward to going back! Location was perfect for shops, bars, cafés and atmosphere. The apartment was beautifully appointed and clean. The child's bedroom was perfect for the little boy. The agent was very helpful and booking was very straightforward. Perfect! We wanted a place big enough for 8 people and close enough to be only minutes away from anywhere in Paris, and 30, rue Lepic was everything we hoped for, except the picture showing the large table in the living room didn't show how old and fragile the chairs around it were. Fortunately there were plenty of good restaurants nearby and we really enjoyed going out every day! A beautiful apartment that gave our party of 4 adults and 4 teenage boys all the space we needed! Although we didn't cook, the kitchen is very well equipped. The rest of the apartment is comfortable and well maintained. It was a bit noisy in the mornings due to building work happening in the next building, but that is Paris life! Montmartre is such a great area, no need for taxis to find fabulous restaurants! You are spoilt for choice! We will be back! Six of us (my wife and I, 2 older sons with one girlfriend and a sister in law) spent 10 days in Paris and used the Grand Lepic as our home base. Wonderful. 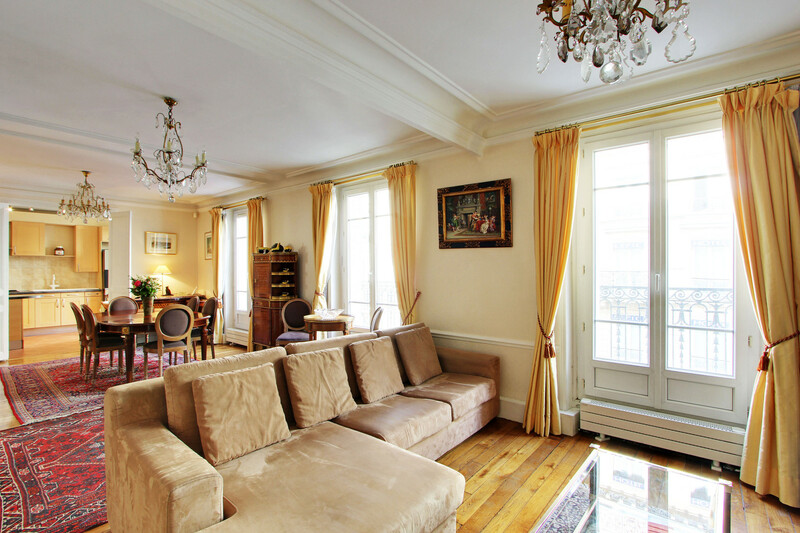 Located on active Rue Lepic, surrounded by bakeries, pastry shops, cafes, restaurants, and shops. In no time you can metro or walk to other areas of Paris or just wander the streets of Montmartre. Kitchen was well used and had all needed utensils etc. Fridge is large and perfect for one's needs. 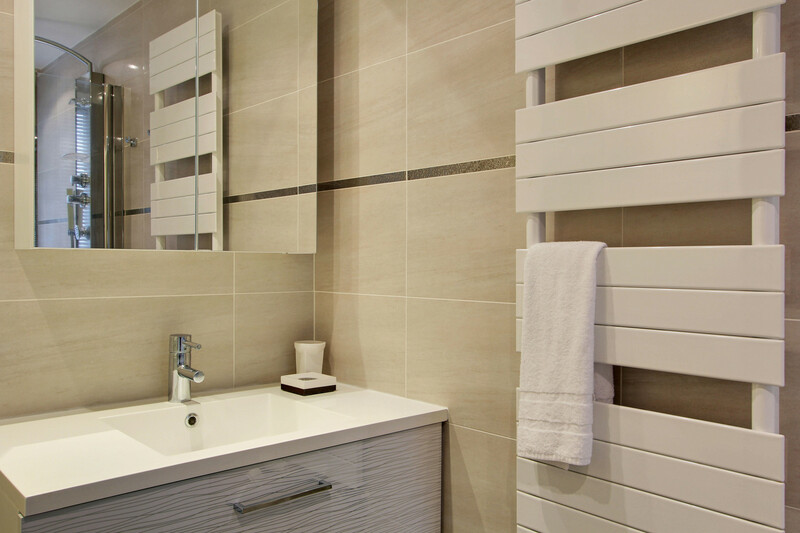 Bathrooms are modern, clean and have an ample amount of hot water. Possibly only drawback is that the washer and dryer are slow and can take only smallish loads. This is a very minor complaint for who wants to do laundry on vacation? Booking was easy and all questions answered promptly. We were met at the apartment by the agent who covered all the details of the location. She was thorough, very nice and full of suggestions. We used the chauffer service recommended and it was so nice to be picked up at the airport and then at the end of our stay to be returned to the airport. The price was fair and well spent when there are 6 people. This was a perfect spot for a large group so we would have an area to gather and share stories and make plans over a meal or a glass of wine. Without question we would rent this apartment again. "Beautiful, very comfortable apartment well kept and located"
This apartment was an absolute find. It is very comfortable and well kept. The bathrooms are luxurious and the decor overall is lovely. The rental service people could not be more accommodating. The location itself is really ideal. Lots of fabulous food shops and cafe's and 5 mins from Blanche metro. "Great Location and Large Family Friendly"
Great apartment - roomy with plenty of private space for each member of our large group. Excellent location close to shops, restaurants, Sacree Coeur. Suited our large group which had travelers ranging from ages 2 to 60. Highly recommended. "Large Family From Washington DC"
We loved Grand Lepic! What a beautiful, charming apartment. We had 7 people in our group -- my wife and I, our four children (ages 6, 12, 13, 15) and my wife's sister, and we all had plenty of room. We appreciated the updated bathrooms and kitchen. We also fell in love with Montmatre -- so charming, so lively. Our kids went out every morning for croissants and every afternoon for baguettes. We had our Thanksgiving meal at the famous Moulin de la Galette (think Renoir) -- absolutely wonderful and about a five minute walk from the apartment. We will definitely be back one day. Nous avons passé un agréable séjour au Grand Lepic. L'appartement est grand, lumineux, bien équipé et très bien situé. Nous avons beaucoup apprécié le balcon et l'activité de la rue Lepic. Tout est à proximité, métro, magasins, boutiques. À notre arrivée, l'agent était sur place et il est revenu rapidement pour régler un petit problème. Je recommande cet appartement sans hésiter. Our stay at Grand Lepic was quite positive. We were a group of 8 and the living arrangements suited us very comfortably. 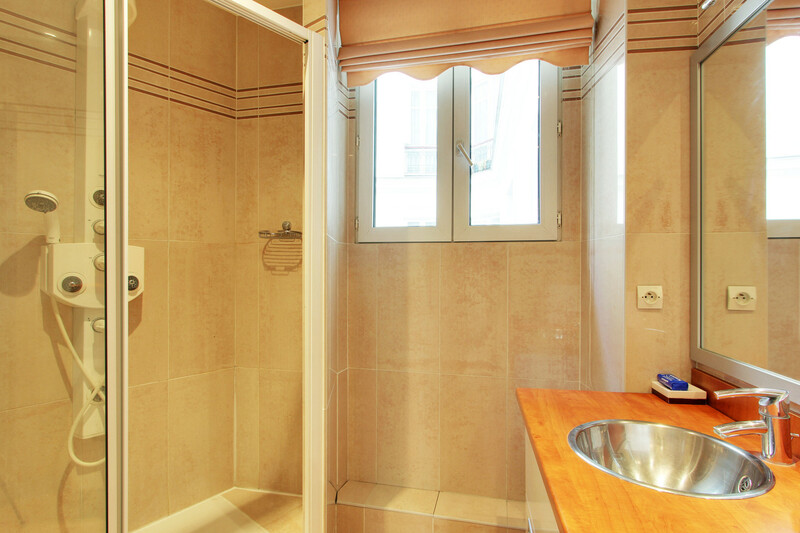 The apartment is well located with numerous Metros nearby. The Sacre Coeur church is about a 10 minute walk (and a 1 minute funicular ride) away while the Moulin Rouge is just down the street. The instructions throughout the house were in both French and English (on the laundry machine, for the computer, etc.). One note of caution for people with mobility issues - the neighborhood is quite hilly. 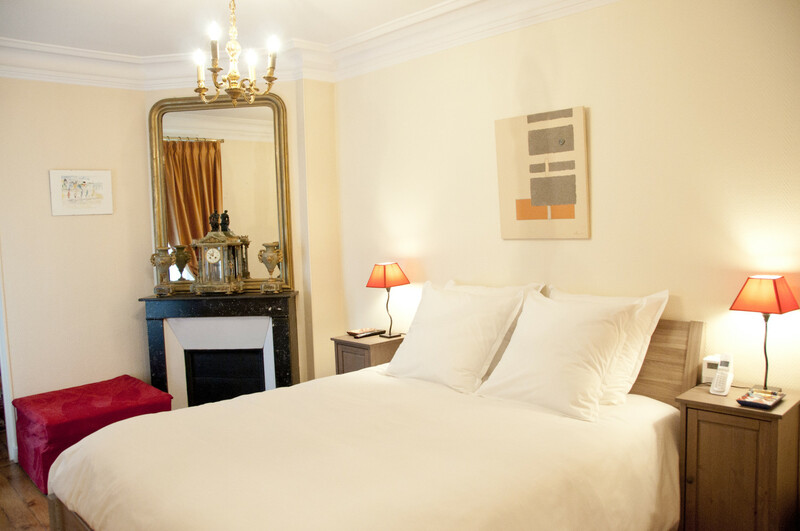 I would definitely recommend the Grand Lepic to others looking for a comfortable stay in Paris with a large group. We were a group of nine, 2 couples and 1 family of 5 visiting Paris for 4 days. The apartment was wonderful. It had all the conveniences we needed and the location was excellent. We really enjoyed the neighborhood. It was close to Sacre Couer and the metro lines and allowed us to navigate the city easily. It also had wonderful places to croissants for breakfast and take-out for dinner. We loved Miss Cupcake across the street. The cheesecake is fabulous! We were met at our appointed check-in time. He gave us a great tour and pointed out all the resources available to us. We loved the dining room table that allowed us to have wonderful meals and play cards after the kids were asleep. The kitchen was modern with a large refrigerator/freezer and was well-stocked with equipment and basic supplies. The washer and dryer came in very handy as we had 3 kids with us. They even supplied laundry soap and dishwasher soap. 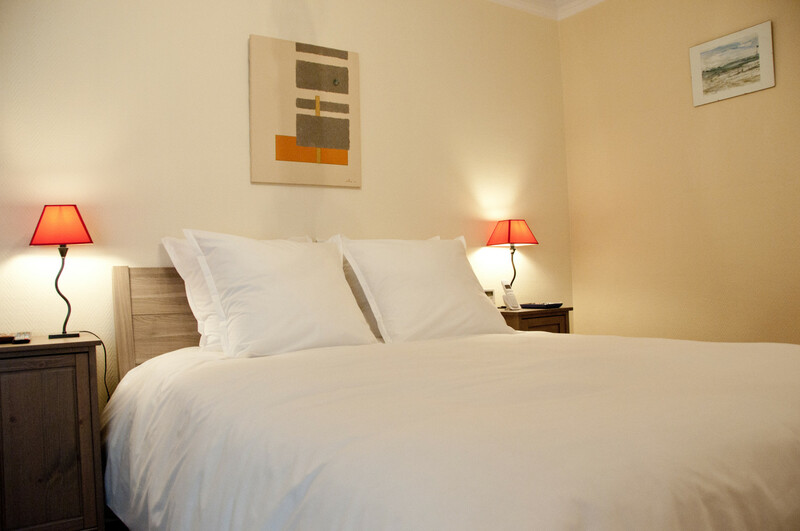 The bedrooms were comfortable and the bathrooms were large and modern with beautiful fixtures. I would highly recommend this apartment to anyone traveling with a group. This property was exactly as advertised. Our agent in Paris was super helpful, giving us directions to the markets and metro. There are comprehensive directions on how to use the appliances-- especially helpful to those of us from the US! The water pressure was good, with lots of hot water. I would stay here again.